So you've scoured every tab on Facebook's Messenger app looking for a logout option with no luck. What gives? For whatever reason, Facebook has designed its Messenger app so that you can't log out — at least not with a direct logout option available within the app. 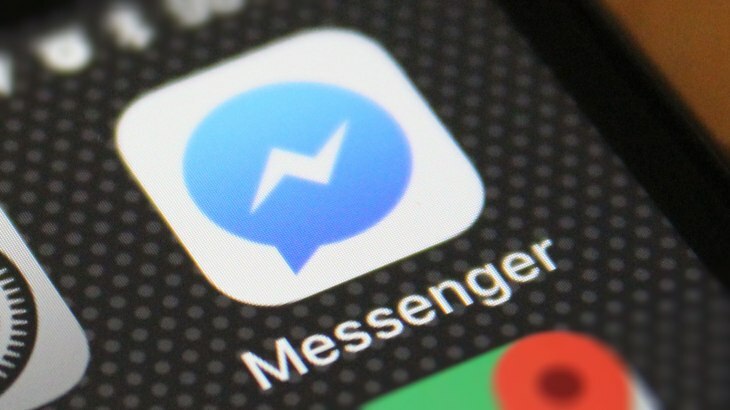 There are, however, a few tricks you can use to disconnect your account from the Messenger app (which is essentially the equivalent of logging out) without having to delete the app from your device. Here are the three main ways you can effectively log out of the Messenger app on your Android or iOS device. Android users have an advantage over iOS users thanks to the app settings they have available to them. With this particular method, you don't even need to access the official Facebook app or Messenger app because everything can be done from within your app settings. Note: This process should work equally well on Android devices from Samsung, Google, HTC, etc. Tap the Settings app to access your Android device's settings. Scroll down and tap the Apps option. Scroll through the list of apps you have installed until you see Messenger and tap it. Now that you're on the App Info tab for Messenger, you can tap the Storage option. Beneath the list of storage details, tap the Clear Data button. That's it. Now you can close your Settings app and return to the Messenger app to see if it worked. If you followed all the steps described above, you should find that your account was successfully disconnected (logged out) from Messenger. Unfortunately for iOS device users, the above method outlined for Android doesn't work on an iPhone or iPad. Despite being able to access iOS device settings and select Messenger from the list of apps in a similar way to Android, there are no storage settings to play around with in the Messenger app settings for iOS. As a result, your only other option for logging out of Messenger from an iOS device is to use the official Facebook app. If you only use Messenger and not Facebook itself on your device, you're going to need to download and install it first. Note: The following method also works on the Facebook Android app if you'd prefer to sign out of Messenger for Android this way as an alternative to the method outlined above. Open the Facebook app on your device and sign into the corresponding account that you want to disconnect from Messenger. Tap the menu option (represented by the hamburger icon located at the bottom of the screen from the home feed tab on iOS and at the top of the screen on Android). Scroll down and tap Settings > Account Settings. Under the section labeled Where You're Logged In, you'll see a list of all the devices and their locations where Facebook remembers you're login details. Your device name (such as iPhone, iPad, Android, etc.) will be listed in bold wording with the Messengerplatform labeled beneath it. If you don't see your device name with the Messenger label beneath it right away, you may need to tap See More to reveal more devices and platforms where you're logged in. Tap the three dots to the left of the device + Messenger listing and select Log Out. The listing will disappear from the list of places where you're logged in and you'll be able to open the Messenger app to confirm that your account has been disconnected/logged out. If you don't want to go through the hassle of downloading the Facebook app to your device because you don't have it installed already, you can simply log into Facebook.com from a web browser and disconnect your account from Messenger this way. The steps are very similar to doing it via the Facebook mobile app. Visit Facebook.com in a web browser and sign into the corresponding account that you want to disconnect from Messenger. Click the down arrow in the top right corner of the page and select Settings from the dropdown menu. Click Security and Login from the sidebar menu. Under the the section labeled Where You're Logged In, look for the name of your device (iPhone, iPad, Android, etc.) and the Messenger label beneath it. Tap the three dots to the left of the device + Messenger listing and select Log Out. Just like on the Facebook app, your listing will disappear and you can return to your device to confirm that you've been disconnected/logged out from the Messenger app.